Marketing goal meets ad type - it's the perfect match. With lower cost-per-conversion, better tracking and more creative freedom than most traditional advertising, social marketing has taken a front seat in most strategies. But in our ever-evolving digital space, it can be tough to know where you should be advertising and how you should be advertising. When you're advertising on Facebook for the first time (or even the hundredth time), deciding which type of ad to use for best results can be confusing. But it's important to get it right. 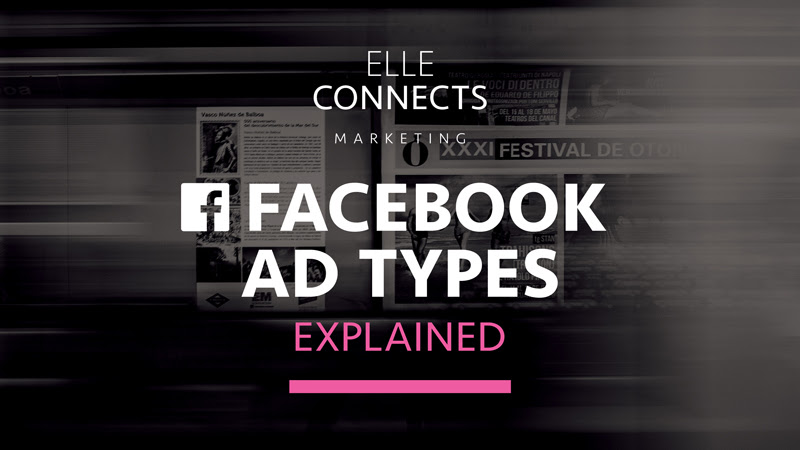 Choosing the right ad type - like choosing the right mate - could be considered the most critical part of Facebook advertising. If you're like me, you want it all - conversions, traffic engagement, AND direct leads! Much like relationships, sometimes you have to make small sacrifices for the greater good - and sometimes, you have to accomplish one specific goal first, in order to achieve your next goal. For example, if you're starting with very little engagement or page fans, your goal of acquiring direct leads becomes a lot less likely - and a whole lot more expensive. If you want to play the long game on social, start at square one. Let us be your ‘matchmaker’ of ad selection. Here's how to make the right connection between ad type and marketing goal. First you need to know exactly what it is that you want your ad to achieve. Do you want to increase traffic to your website, get more page likes on Facebook, or get qualified leads for your business? Second of all, you need to understand that some goals need to come first (as I mentioned above). Decide how you will measure the success of the campaign and what it's worth to you - set a budget and a timeframe. Now that you know your marketing objective (number one on your list from step one) you need to decide what ad type is best suited for your goal. Do you want to generate activity around a post, app, picture, video, etc.? Engagement ads are best when structured around something new happening – a new listing, open house, product, or a new feature in an app – and they inspire the user to take an action. AD TYPE: App Engagement – choose this one when you have a new in-app feature you want to promote. AD TYPE: Post Engagement – when you want to see post likes, shares, comments, and build conversations. One of most popular ad types is traffic (clicks to your website). This ad type is used when you want to get users to go to your website to learn more about your business, products and services. One reasons marketers love these ads? You can have a lot of creative license with this kind of ad. Choices include a single image, a carousel of images leading to different links (using mobile-friendly creative) or a canvas to tell your story to potential customers. AD TYPE: App Installs – use if you want customers to install a new app you are promoting. AD TYPE: Website Conversions – should lead users to a website page where they have to make an action (e.g. sign-ups to a newsletter, download an offer, etc.). AD TYPE: Offer Claim – If you are promoting a deal, consider building an offer-based ad. This will let you track how many people have “claimed” your offer. Users prefer to stay on Facebook, and through offer ads, you can allow people to claim deals for your business on Facebook vs. making them go to an external website. AD TYPE: Page Likes – Facebook ads can also be used to expand your organic reach. These types of ads are excellent for businesses that put a lot of effort in daily posting and building their brand through Facebook. Also seen under Engagement. AD TYPE: Lead Generation – use this ad type if you want to gather qualified leads right from Facebook. Real Estate Marketing Tip: Lead generation ads can be an excellent way to get direct sales leads. These ads can be localized to your market and are more user-friendly than previous lead advertising strategies on Facebook, where a user is taken off of Facebook to a landing page. Facebook lead generation ads can also sync up with various CRM systems. If yours doesn't match, there are third-party 'bridge' platforms which will do the work for you. Realtors - think mobile-first for your lead gen campaign. Use awareness ads when you want to expose as many people as possible to your brand or product. Brand awareness and local awareness are two of the most commonly used ad types within this marketing goal. If awareness is your goal, consider structuring your ads around enticing people to want to know more about your brand. AD TYPE: Brand Awareness – get your brand and product noticed and expand your reach. One of the cool features with Facebook advertising is you can localize your awareness campaigns and narrow down the geographic location to target customers in a specific location. Consider using store visits or the local awareness ads for this goal. AD TYPE: Store Visits – Use this ad type if you want to generate traffic into your brick and mortar shop. AD TYPE: Local Awareness – If you want to generate interest in just a specific location, use local awareness ads. If you have various locations, you can run a campaign with different ad sets for each location. AD TYPE: Event - After you have set up your event on Facebook you can promote it through ads manager and link people back to your event page to “attend” your event and stay up-to-date on info. You’ve made a stellar connection. You have a solid campaign goal, and you know exactly the ad type you want to use. It’s all downhill from here, right? Well…just like in any relationship there will be bumps in the road, so watch for our next blog post on targeting and placement. DONE reading and just want some answers? Reach out anytime!